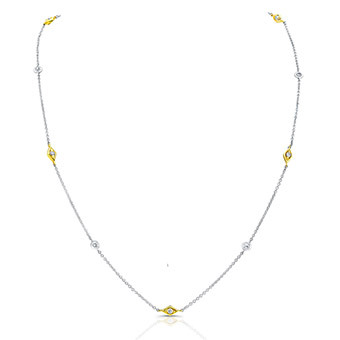 We know that a diamond necklace is a show stopping, head turning piece – one that doesn’t so much adorn the wearer, as it does accentuate their every mannerism in the most dazzling of ways. That’s why we take so much pride in our diamond necklaces. 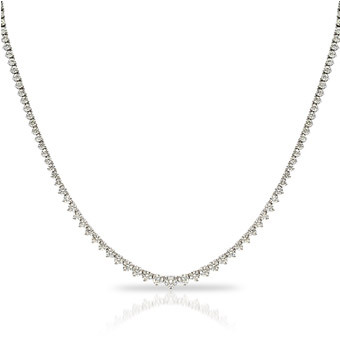 Whether it’s a statement piece designed together, or one of our wildly popular, highly customizable Diamond by the Yard necklace, or a graduated necklace, we’re constantly fine tuning our manufacturing process to guarantee the wearability of our handiwork – you won’t find sticky clasps, snarled links, or necklaces flipping over due to their weight. All style, all statement.